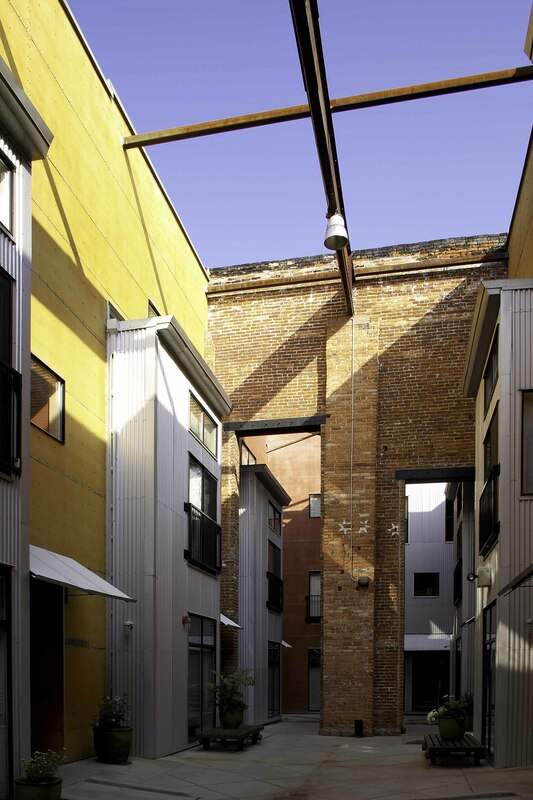 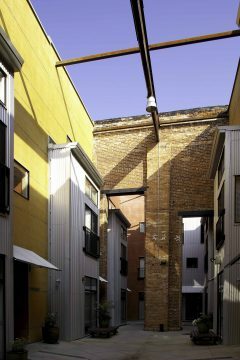 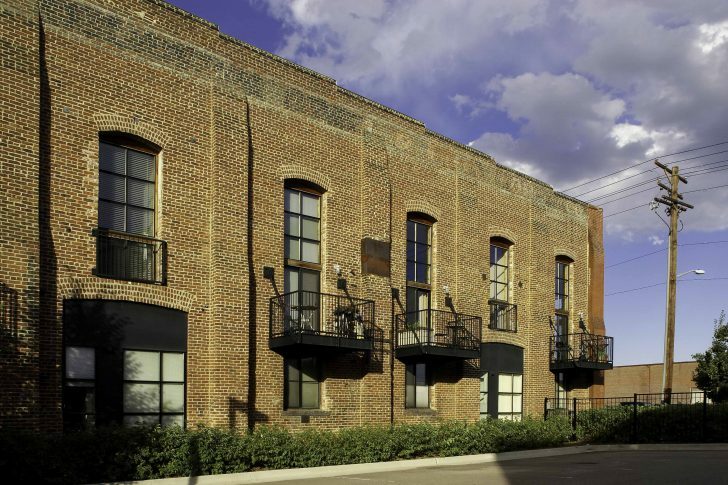 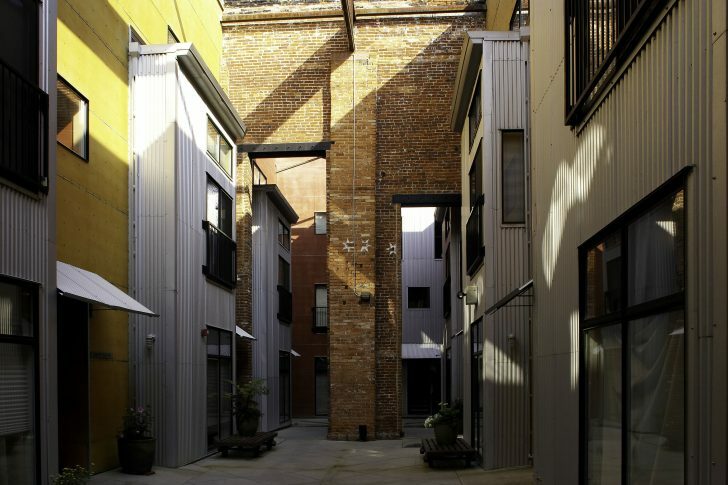 Combining new urban housing forms and adaptive reuse of a historic warehouse created two blocks of mixed-use loft buildings, while recapturing the industrial character of an urban neighborhood. 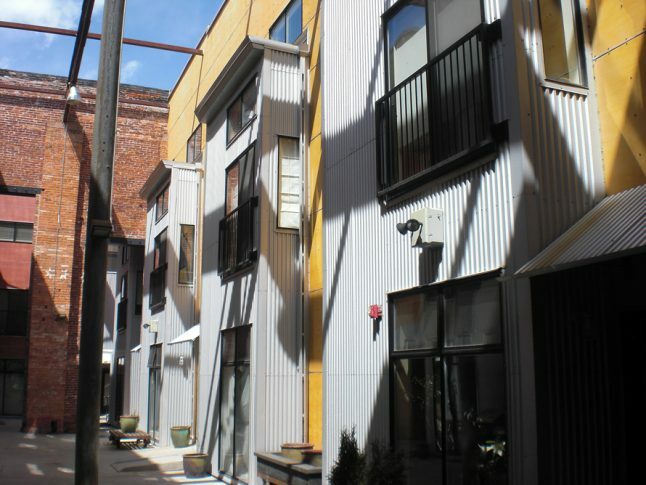 Comfortable modern interiors juxtaposed with distinctive exterior materials, such as corrugated metal and cement board siding, have breathed new life into a decades-vacant industrial district providing live work and attainable housing opportunities. Provocative use of area forms and materials to provide housing and mixed uses where none had previously existed, inspired the renewal of an old, under-used, industrial urban corridor. 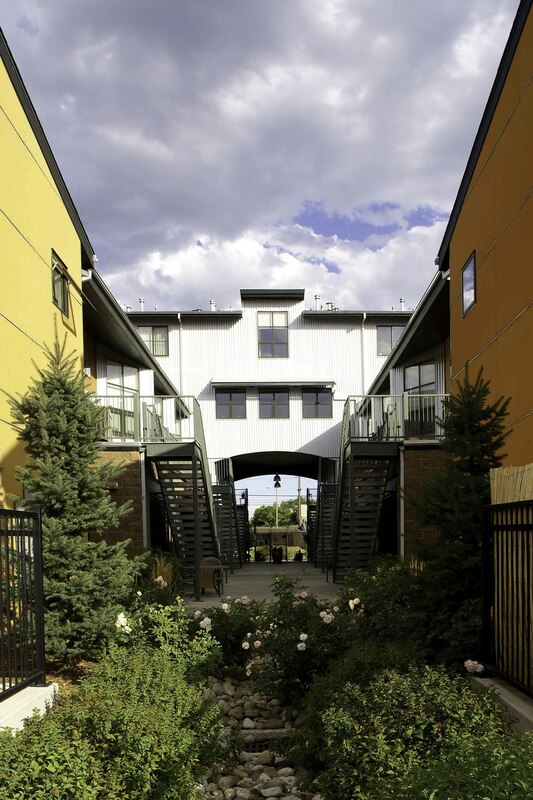 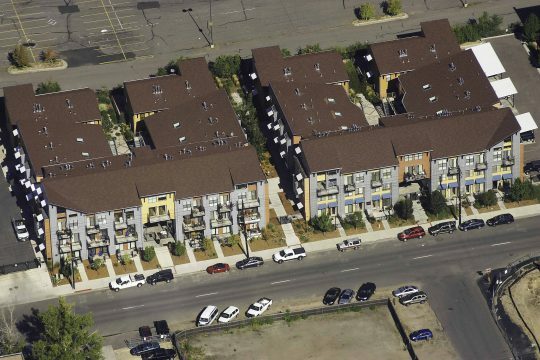 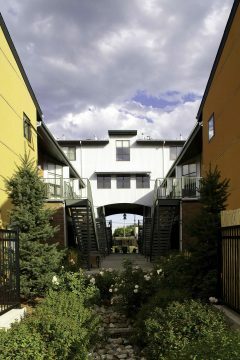 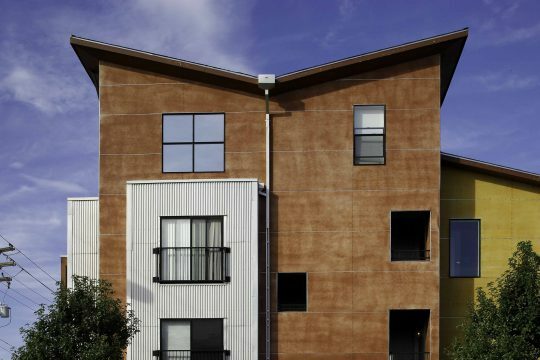 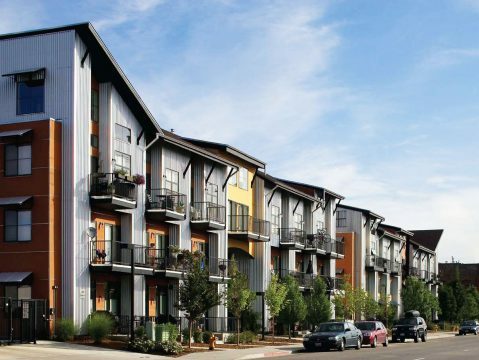 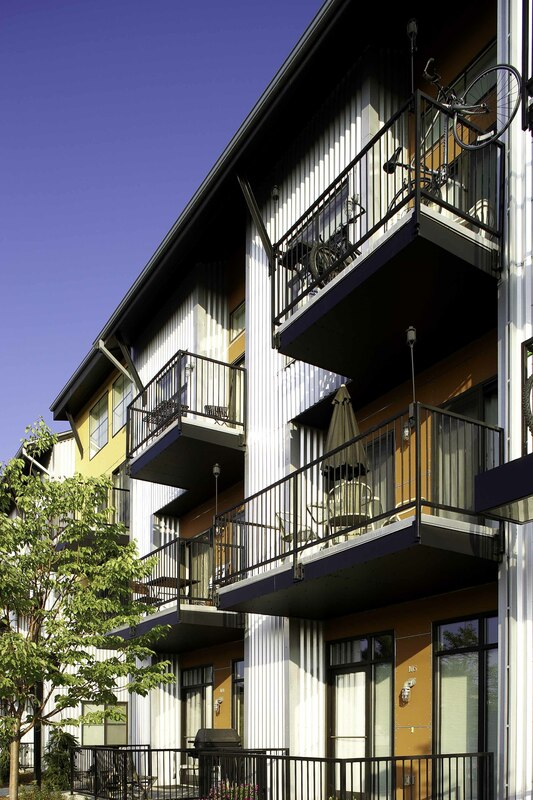 Develop an integrated re-use strategy, providing unique living spaces and architecture for first time homebuyer and workforce housing. To provide urban density housing to help sustain the Town Center.